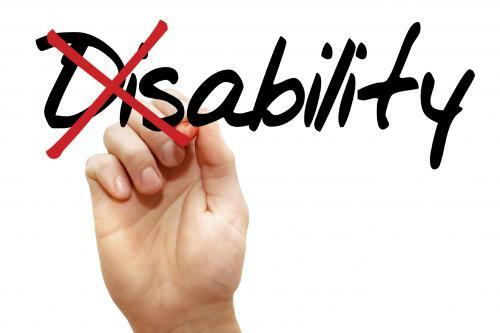 Living with a permanent disability or taking care of a disabled loved one is difficult. Not only is there an emotional and psychological toll, there are medical expenses too. Luckily, tax credits can alleviate this burden. The disability tax credit (DTC) allows people with disabilities and/or their caregivers to reduce the amount of income tax payable. Below, is the disability tax credit explained simply so you can take advantage of this invaluable benefit. Are You Eligible for the DTC? Eligibility for the DTC is determined by if your impairment in physical or mental functions lasted or is expected to last for a continuous period of 12 months. Anyone that is blind, receiving life-sustaining therapy or suffering from a condition that restricts daily activities like speaking, hearing and walking is also eligible. The impairment must also be present for 90 per cent of the time and the condition must be chronic as well, lasting at least 12 months. Your medical practitioner needs to fill out paperwork (Form T2201), indicating the nature and severity of your disability, then the CRA will make its decision accordingly. Professionals other than your family doctor can also fill out this form (e.g. optometrist, audiologist), and reports on mental disability can be provided by a psychologist. If you were eligible for the DTC previously but did not claim the credit when your tax return was filed, your tax preparer can request adjustments for up to 10 years. Once you receive approval, it is a simple matter of claiming $8,001 on line 316 of your tax return, but you can let your tax preparer handle the numbers. Be sure to let him/her know whether you employed an attendant for personal tasks in your time of need – there are additional credits (e.g. wages paid) that can be claimed for this. Similarly, if you were cared for in a facility, like a nursing home, let your tax preparer know, and have the necessary documents outline your attendant care expenses. Some people prefer online filing simply because they don’t have the time for face-to-face consultations at their preferred tax preparation service. For disabled persons and family members caring for disabled patients, it is highly inconvenient to make this trip. This is why many tax preparers, including Elite Tax, offer online preparation. Fill out our simple form and we will be in contact with you shortly. With their aid and just 30 minutes of your time, you receive professional tax preparation for nearly the same price as tax software.